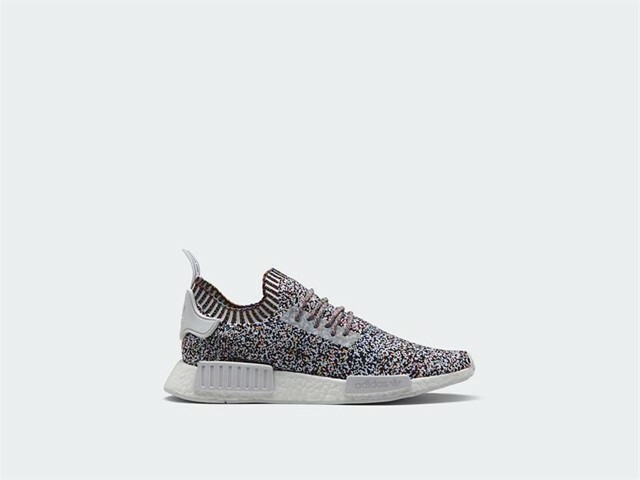 The original NMD_R1 silhouette steps out in a unique color treatment this month, taking inspiration from disrupted TV images to create the NMD_R1 PK ‘Color Static’ edition. True to the shoe’s original formula, the latest NMD_R1 features a full Primeknit construction across the upper, structured by welded TPU lace eyelets and a custom heel tab, placed on top of a BOOST midsole with EVA plug inserts and a rubber outsole. 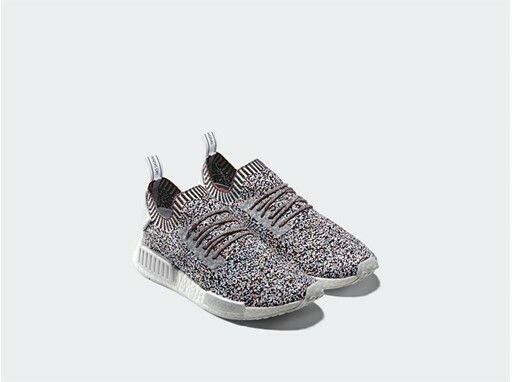 The shoe’s unique visual texture is achieved through the use of a multicolored Primeknit fabric, creating a disruptive new take on the modern classic footwear silhouette.